When you buy a Volkswagen from us at Connolly Motor Group, we know that you are not just buying a vehicle, you are embarking on your own personal journey. We strive to ensure that every single person who walks into our VW showrooms in Sligo or Ballina knows they are valued and that our trusted staff are here to help you realise your dreams of driving off in the perfect vehicle for you. When you buy a VW from us at Connollys, you can rest assured that you are buying from a family-run business that has your needs as our number one priority. We are also experts on all Volkswagen models and stock the full range – so whether it is a Polo or a Passat you are looking for, you know where to come. We also know how important it is for the company owners among you to get the right commercial vehicleat the right price. 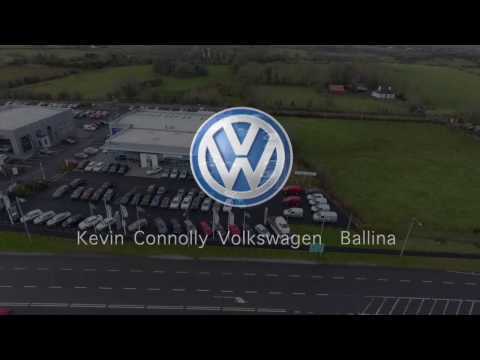 Book an appointment with our experts at one of our VW show rooms in Ballina or Sligo and we will make sure to match the right Volkswagen commercial vehicle to you and your business.